Lianny awarded me this BBF (Blogging Friends Forever) GOLD CARD! Thanks girl!! 2. Four (4) of them followers of your blog. I'm going to pass this award to my Top Commenters; Nick, Rozella, Ratu Syura, Liza (rule #3), and Lianny (rule #4). Besides that, I'm honored to have been nominated for the "Brillante Weblog Premio-2008" by Nightwing, Linda, Osindak and Blusher. Many thanks to all of you! I am nominating Mariuca, U.Lee, CC, Faizal, Foongpc, Anttyk and Simon. Last, but not least. 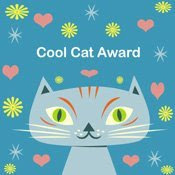 I've got the "Cool Cat Award", "You Are My Friend Award" and "Biggest Heart Award" from Rozella, here and here ages ago. Thank you so much! 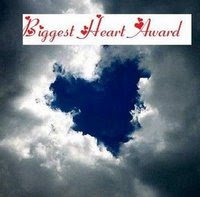 and "Biggest Heart Award" to Nightwing and Osindak. Came by to collect my award and to thank you for your email. Oooo a gold card! Wondeful, now I can go shopping like crazy, no limit right this gold card? LOL! WooHoo! I'm a COOL CAT. How cool can that be? I always fancy myself looking like a cat. Meow! Anyways,thanks so much for thinking of me. Really appreciate it. Another award meme? Thanks anyway. You have a great weekend ahead now..cheers. LOL..yes, you're a cool cat. NOT a wacky cat! You called it award meme? hahaha..
Nice awards, congrats to all nominees..